Karnataka Election Result 2018: In run up to the Karnataka assembly election 2018, the state witnessed a bitter political campaign amid allegations and counter-allegations of corruption and communalism. Bengaluru: Ahead of next year's crucial Lok Sabha Elections, the Congress and the BJP face a tough challenge as votes for Karnataka elections 2018 are counted today. While, the Congress would want to make a comeback after losing a string of elections in the country, for BJP the challenge is to maintain the momentum of victories. Karnataka, a key state, is one of the last few places where Congress is in power and also the only state in south India, where the BJP has been able to form a government in the past. To get the live updates of the Karnataka election result in Kannada language, please click here. The Karnataka election is also important for the BJP's mission south, ahead of next year's general elections and also to maintain the perception of being unbeatable. Karnataka assembly election result 2018 is believed to leave an impact on the last three states elections - Madhya Pradesh, Chhattisgarh and Rajasthan - ahead of next year's big battle. In all these three states, the BJP will have a direct face off with the Congress. In run up to the Karnataka assembly election 2018, the state witnessed a bitter political campaign amid allegations and counter-allegations of corruption and communalism. The campaign which took off on a development pitch also saw bitter personal jibes. While the Congress and the BJP are the main contenders, H D Deve Gowda's JD(S) is likely to play the kingmaker, according to most surveys and exit polls. 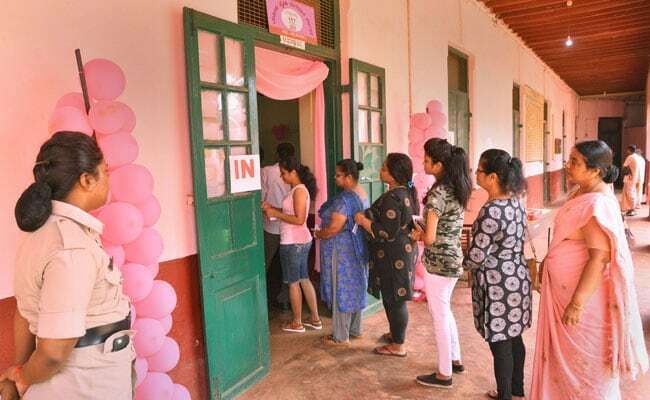 More than 4.96 crore voters were eligible to exercise their franchise to choose their representatives of which 72.36 per cent turned up, a highest in the state. Men accounted for over 2.52 crore voters, women around 2.44 crore, while there were 4,552 transgender electors. Over 2,600 candidates were in fray for the race to power. No party in Karnataka has won a second successive term in office since 1985 when the Janata Dal under Ramakrishna Hegde had retained power. In case of a clear verdict in favour of the Congress, the grand old party would break the jinx. The Congress is, however, confident of coming back to power, with Chief Minister Siddaramaiah saying the party will create history. Though the BJP launched its campaign, calling it "mission 150 (seats)", the party has repeatedly said that it will win over 130 constituencies. The BJP had ruled the state between 2008 and 2013, the only time it did so, but its tenure was marred by intra-party feuds and allegations of corruption. One of its three chief ministers and its current chief ministerial candidate B S Yeddyurappa was in jail over corruption charges. JD(S) state president H D Kumaraswamy has conceded it was a "battle for survival" for his party which has been out of power for a decade now. Counting for Karnataka assembly election 2018 will begin at 8 am.